What are the groundbreaking discoveries and new challenges in paleontology? What does it take to make a finding that may revolutionize our view of the history of mankind? How does 3D scanning technology facilitate the work of researchers? 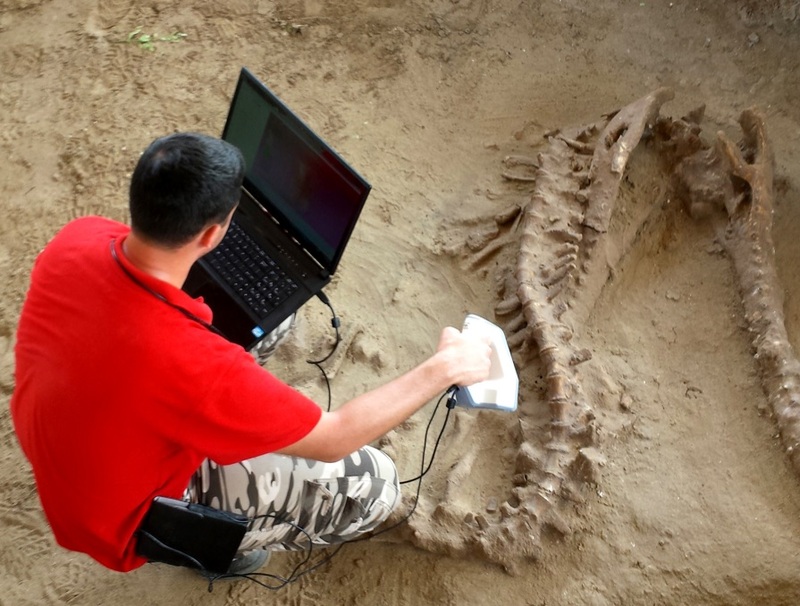 To find answers to these questions, Artec Group CEO Artem Yukhin talked to the famous paleontologist Louise Leakey, who has been using Artec Eva and Spider to 3D scan the fossils of prehistoric animals and hominids found at the Lake Turkana basin, Kenya. Q: First of all I am very excited to know you. A: Well, it’s very exciting to know you too because it’s fun to apply technology to scan this old fossil. Q: Thank you. Anthropology runs through three generations of your family: your grandfather Louis Leakey, grandmother, father and yourself. 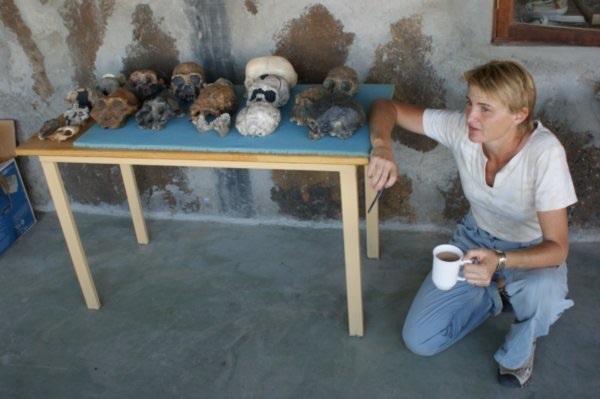 How does this passion for paleoanthropology transfer from generation to generation? A: I think my grandparents started to work at Olduvai in Tanzania in 1930. Nobody believed they would find evidence of human origins in Africa. So when they finally found the skull OH5, they put Africa on the map. At that point my father and his brother spent their time with their parents at Olduvai and they learned all about fossils. When my parents started working at Turkana, we also spent a lot of time with them in the field on the ground so we also learnt a lot of the work. Any child likes finding things on the ground and they’re very good at it because they’re a lot closer to the ground than adults are. Q: When did you find your first really meaningful and important finding? Q: What discoveries do you see the most important for science? A: I think one of the really exciting ones was the discovery of fossil footprints in Tanzania, which were dated 3.5 million years. For a long time that was some of the earliest evidence of walking on two legs. It’s about a 25-meter track way that is covered in volcanic ash that solidified and preserved a sort of snapshot in the past. There’ve been finds like Turkana boy’s complete skeleton found on the west side of Lake Turkana, that’s dated at 1.6 million years. He obviously fell into a swamp, which is why his bones were so complete and they weren’t scavenged by animals. Very often the fossils we find are very fragmentary. Q: So how do you define that these separate fragments belong to the same species? A: If, for instance, there’re different foot bones and they have the same texture and the same coloration and they came from the same small area, then there is a chance that they were the same thing, but we can’t be 100% sure that they are the same individual unless we find them coming from exactly the same level. We date these deposits by actually placing them relative to volcanic ash horizons that we’re able to date. So it’s very important that we work closely with geologists. Q: What are the new challenges, what are the open questions that we have in paleoanthropology? A: I think what’s really interesting now is the advances in genetics. We can really look and understand in great detail back into the last 200,000 years and we can actually understand the dispersion of these modern hominids out of Africa and around the world through the sort of genetic indicators. Q: Yeah, genetics is really exciting and gives us a lot of knowledge. But what are the questions left in paleoanthropology? A: With the fossils, we’ve really got to find more specimens to help us really fill out the species that we know existed. Obviously the hominids, human ancestors represent 1% of all the different fossils that we find. We’re often more collecting pigs, horses, elephants, rodents and all sorts of other things which coexisted with our human ancestors. Q: Do animal fossils help understand anthropogenesis better? A: Yeah, it’s all tied. If you know what antelopes were living there, you know what the habitats were. Q: What is the value of these fossils of the tortoise, the elephant and the crocodile from Koobi Fora? A: Those are some of the nicest, most complete… That skeleton of a crocodile, for instance, is the only one that we know that is a complete skeleton of a crocodile. Q: So this particular crocodile is the only one, right? Like Crocodile Lucy? A: This is crocodile Lucy except that we have pieces of that same species like you have other pieces of species that Lucy belongs to. But Lucy is the most complete. And she was left in the field because she’s too big to move and she’s been very damaged over time, that’s why it was particularly important to get a scan. If we don’t have a replica or record of it, it’s very vulnerable, the same as the elephant, that’s the most complete elephant, and it was also left in the field, and the same as the tortoise, we just don’t have another one like it. Q: But how did it happen that such finds were abandoned for several decades? A: Well, those finds, when they were found in the late 1970s, to bring them back to Nairobi, which was where all the fossils were taken, would’ve been impossible to get them back to Nairobi complete. They had to be left there, so that’s why they were turned into these field exhibits so that people could see them there. But with time, of course, the buildings not maintained and the fossils not being preserved properly and it’s not been well looked after by the museum as it should have been, so that’s why I was particularly eager to get the record or digital copy. Q: So was there a lot of information lost because it was not preserved properly? Q: Is there any plan to remove it somewhere? A: Well I think the crocodile… we must remove it, and that’s why I wanted to get a good scan of it, because it enables us to possibly get a 3D replica made and we could get a 3D print of it done, which we could put back into the house, and then we could recover that specimen and take it to TBI, for instance, where it could be kept safe, it could be cleaned and preserved properly and be studied. Obviously now we’ve got a replica and the museum will be more likely to allow that to happen. Q: Okay. So another question I wanted to ask is about TBI [Turkana Basin Institute]. How was its team formed? And I also wanted to ask about African Fossils. What is African Fossils and how it should help the research community? A: Let’s maybe start with TBI. When we worked at Lake Turkana in the past, it’s a 3.5-day drive to get there by boat and all of the expedition was supplied from Nairobi. It was time to actually put infrastructure on the ground in the north. So an effort was then made to raise private funds to establish the institute, to use the Stony Brook Foundation, which is based in New York, to help us with the fund-raising. 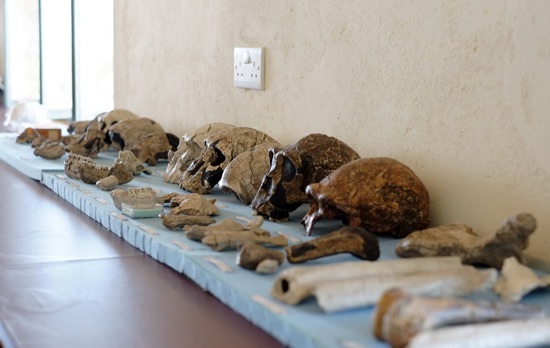 Once we got TBI set up, it means that the fossils no longer leave Turkana, they’re put in facilities there, they’re obviously part of the national collection, but it’s easier for the fossils to be looked on by the people in the north who are given the jobs to do this. We’ve got two field sites, one on the west and one on the east. And now this means that people can use these facilities, whether they are studying climate change, or bees, or insects, or fish, or fossils. African Fossils really came out of my feeling that we needed to do more for public education and try to get people inspired about human origins again. Now that we’ve got the digital means to use, to share scans and 3D models of these finds, it’s interesting to look at something and to be able to rotate it on a screen and download it to print it. And so I felt we really had a chance now, if we began to scan the fossils not only as a digital record of the collections that are held in these more remote stations but to enable people anywhere in the world to explore and look at them in more detail. 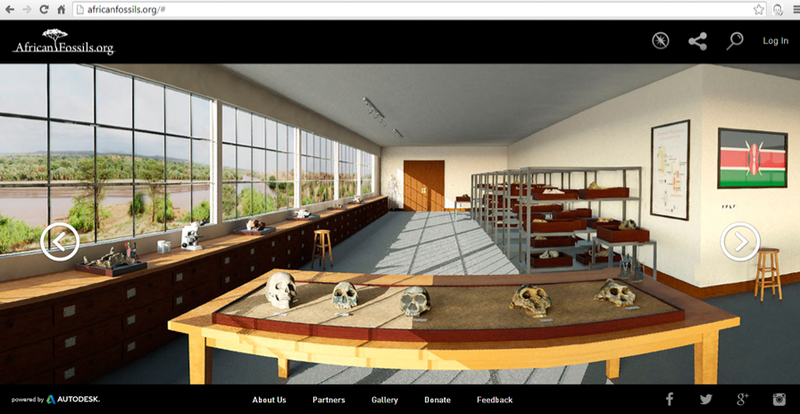 And so I began with Autodesk to use photogrammetry to make the original 3D models of some of the casts of human ancestors which we then put into this website, this virtual lab that people could then explore and look around and feel that they were in that sort of place. I originally wanted that so that you can actually move down the corridor, you could touch a shelf and you could see things inside it. Q: It’s really great. I have never seen any resource like that. What is the value of this knowledge for ordinary people who not necessarily are going to become anthropologists? A: If you don’t stop to think about our past in terms of where we came from… I think there’s no better way to ask that question than by looking at those fossils. If you can put that on a timeline, you realize how very recent our past is. If you don’t present people with an opportunity to think about our past, what about thinking of our future in terms of where we’re going and how vulnerable we are as a species. That’s why it is so important. Q: I completely agree. So could we just touch upon our technology and its application? A: To be able to have a replica of fossils on a computer and to be able to look at them… we’ve never been able to do that. It was a huge breakthrough to be able to capture that much detail. Now we’re able to scan in the middle of nowhere. Ideally, if we’d been able to scan, which we can now do, as we find something on the surface, as we excavate it, we can actually get detail day by day or hour by hour. You could actually document the whole process. Q: Do you mean that one thing is to scan finds but another thing is to scan an excavation site with all geological landmarks and levels to have a precise 3D picture of all the levels and finds where they were found and that allows you to study it more carefully in the field? A: Yeah, very much so. But basically you can take the information from the field and take it in great detail back to your lab or send it to somebody in another country. The casts from this collection are stored in so many locations, remote locations, particularly TBI, where it’s quite an effort to get up there, it’s quite nice to have a digital record of the collection so that people can look at it from wherever they are. Ideally we want to have every specimen documented with a scan. I know that the scanners we were using before and obviously with photogrammetry, it’s… there’s only so much detail and how much accuracy you capture from that. Your handheld Artec scanners are actually very quick capturing, and it enables you to do a lot more than you could have done even just a couple of years ago. Once you have a digital model, you can do comparisons of morphology, you can do comparisons of teeth, there’s any number of studies that can come out of it. Q: If you have 3D models of all these things, you can play a puzzle virtually and you can model kinematics. Q: So it should really be of help. We sent you two scanners. I think Denis came with Spider. Q: I’m so happy that it finally worked, because the first information wasn’t very promising, we thought that it was too hot, and normally we say that the temperature range should not exceed 30 degrees Celsius, and it’s definitely often much hotter in Kenya, I’m so happy that finally it worked. A: Yeah, it worked, and I think it’s also because you’re not scanning full-time all the time, you can scan and then you can stop. Q: Yeah, because it’s very fast, you don’t need to do it longer than ten minutes, there’s a lot of information. A: I think because you’ve got the two, you can choose if you want more detail or less detail, you get the flexibility to scan really big and then to get the detail. Q: I hope that if archaeologists or paleontologists have Eva or Spider on their expeditions, it may be really very helpful because we may then think about having big databases of these findings and some comparative studies. A: Yeah. When we use your scanners at TBI, we often scan things for people that are coming through. They’re always very interested in the scanners and people often end up deciding they need to buy one for their own group. At the moment Timothy’s back in Nairobi at the museum and we’ll continue with the scanning there. So he’s using scanners every day in the museum. Q: That’s great. Thank you very much for your time.